An adventurous piece for tea and coffee from the James and the Giant Peach collection by Roald Dahl, this mug captures the fun-filled voyage of James and his magical flying peach. 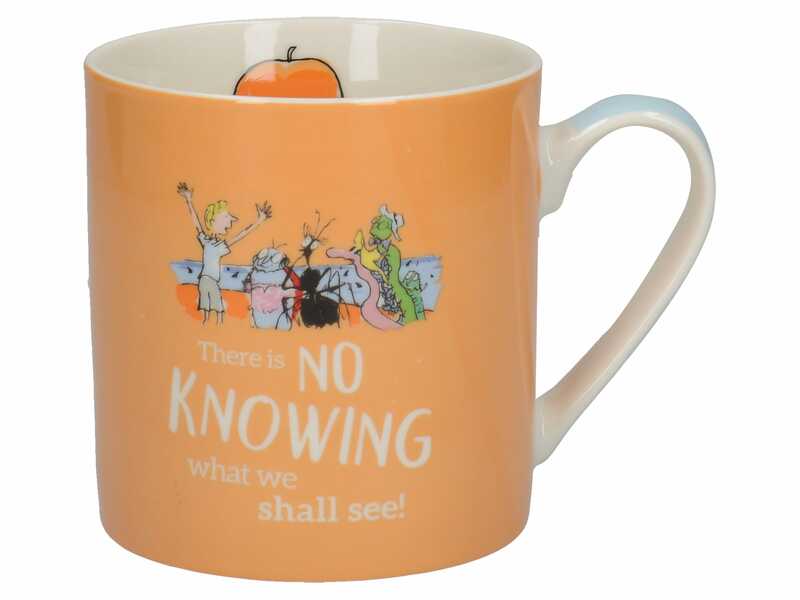 The mug is made of fine china in a peach colour with a sky blue handle and an original storybook illustration. Size: Capacity: 15.8fl oz/450ml. Dimensions: 9.7x10.4x9.5CM.